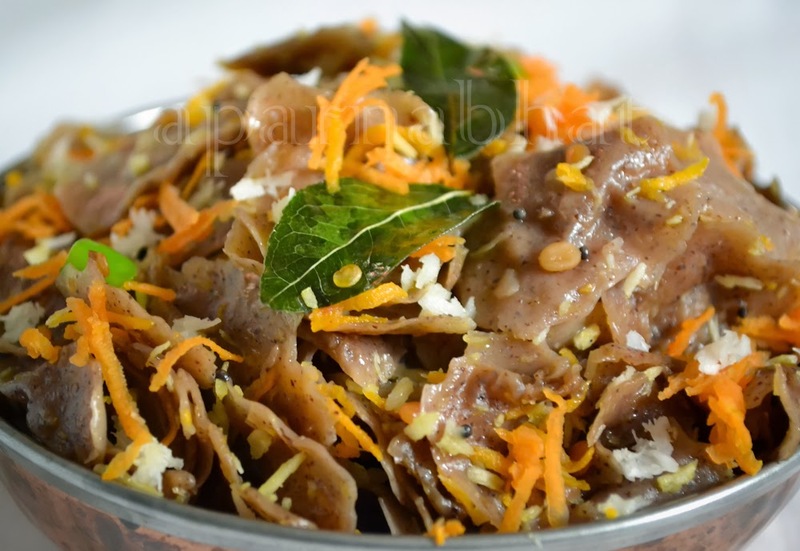 "Vodi/ Odi" is a konkani term used for sundried item prepared from onion, garlic, ashgourd, etc. during summer. Once sundried they are stored in airtight containers for future use. They can be deep fried or used in various curries. When deep fried they taste yummy!!! The unpredictable weather conditions in the region where I reside and my office working hours here, restricts me to prepare these vodis at home and hence whenever possible I usually get my stock from India. Usli is again a traditional konkani preparation and here I prepare it using ragi vodis [sundried item prepared from ragi/ finger millet]. It is an easy to prepare and calcium rich dish. 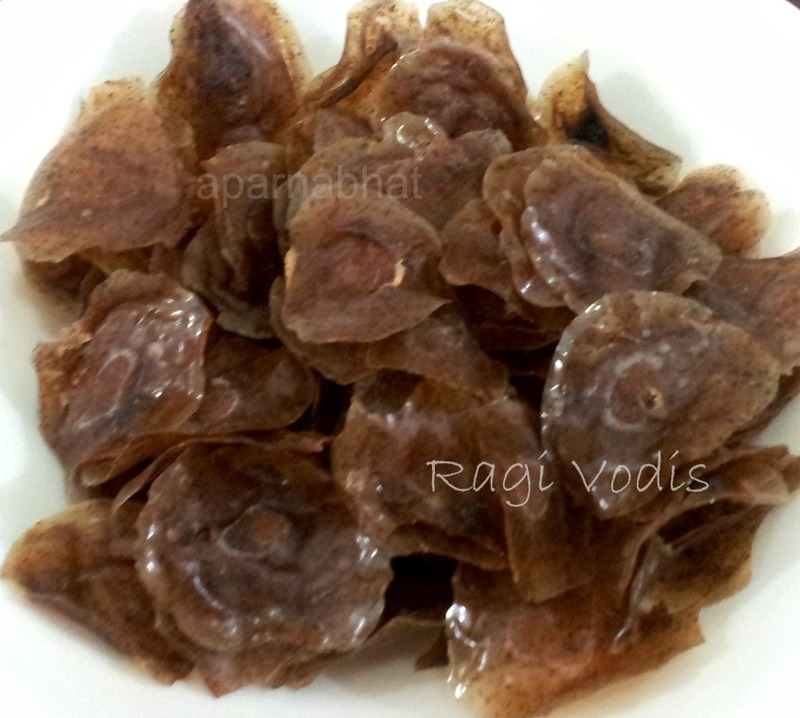 This is how the ragi vodis would look before soaking them. Heat oil in pan. Add mustard seeds, once they splutter add urad dal, chopped green chilly, curry leaves, asafoetida and saute for few seconds. Now add grated carrot, drained ragi vodis and stir for a minute. Add salt and mix it well taking care that the vodis don't get stuck to the base of the pan. Switch off the flame and garnish it with grated coconut/ frozen coconut and serve.